The number of people with a Facebook account is now greater than the amount of individuals who use a credit card online. With over 500m people on Facebook and with only around 70% of the world’s 567m credit card users tapping into their account online you can see that Facebook is considerably more popular. In fact, the numbers of people prepared to spend money on their credit card online is falling at the same time as the numbers of people prepared to divulge their personal details on social networks is rising. And that’s a problem for anyone running an online business. Credit card usage is essential for Internet businesses – it is the principal form of payment, in spite of the popularity of “cash replacement systems” such as PayPal. So, if people are being more careful about their online spending, your job as an online business owner is to encourage them to spend their money with you, rather than another supplier. Luckily, there are some things you can do. Research presented to the American Psychological Association over 15 years ago had the answer. This showed in a series of experiments that cues to credit cards increase spending. In other words, if you present people with enough credit card logos, for instance, they are more likely to open their wallet for you. Simply having a single set of logos at the bottom of your sales page, or on the shopping basket may not be enough to encourage people. Adding logos in more places throughout your web pages can help. 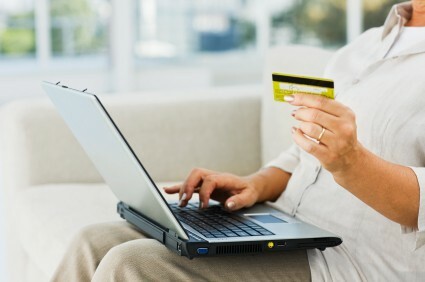 Equally, adding phrases such as “when you buy this with your credit card” to the description of the product you are trying to sell can also help. This is because of a psychological phenomenon known as “anchoring”. Essentially, if you give people a choice after having given them no choice, they are more likely to stick with the “no choice” position. For instance, let’s say you are at some kind of summer fair and there is a stall asking you to guess the number of sweets in a jar. With no pre-set numbers you can choose anything you like. But if I say “the last person thought there were 207 sweets in this jar, how many do you think there are?” you will guess nearer to 207 than you would have done if you had a free choice. It is the same with payment methods. If I want you to use your credit card on my website (rather than paying by invoice – thereby reducing cash flow) I need you to choose that method over and above any other payment method. So, by saying things like “paying for this by credit card is easy when you click the button at the bottom” you are more likely to use your credit card than choose any other available payment method because your mind is already “anchored” to credit cards. Of course, people expect you to have a choice of payment methods, but credit card payments are less cumbersome and are better for cash flow for most online businesses, so you want people to choose that method over and above any others you offer. Hence the combination of repeated credit card logos and anchoring phrases can really help people become more likely to pay you using their credit cards. In the future though, you may even be able to more than this to specifically pinpoint the people most willing to pay you. New research at the London School of Economics has found a genetic link to willingness to spend on credit cards. If you could get a genetic profile of the visitors to your website you could concentrate your efforts on those with the right genes…!